This poster was part of the mighty Alamo Drafthouse’s (the coolest theatre in living history) 2010 Rolling Roadshow Tour which Olly Designed most of the posters for the screenings. The tour is a special thing which goes across the USA showing free screenings of classic movies outdoors in the places they were filmed and/or where they take place. 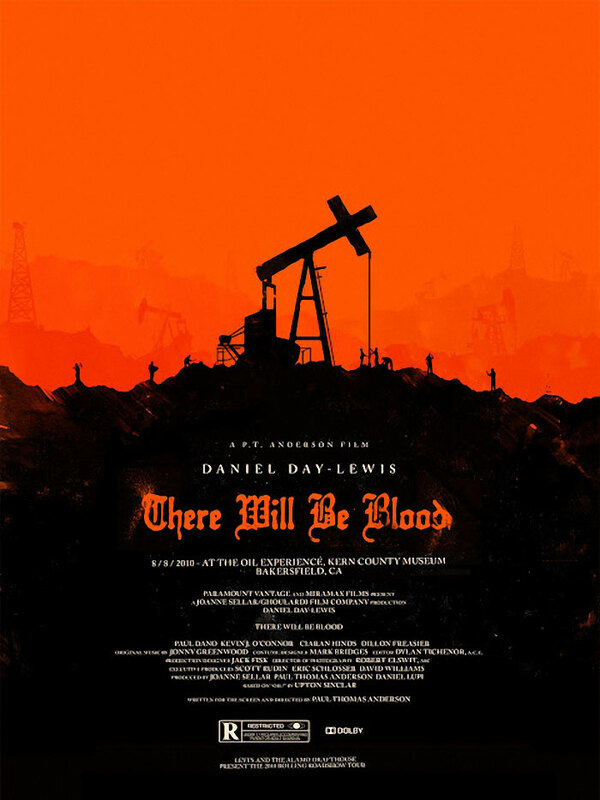 The screening of There Will be Blood was at California’s Kern County Museum. It was released as part of the limited edition print series from the Roadshow.